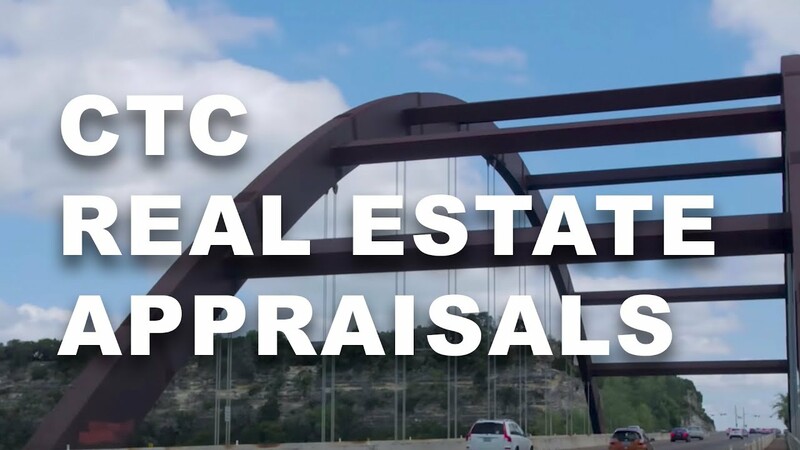 CTC Appraisal Services is proud to offer both residential and commercial property appraisals to our clients throughout the Texas area. Whether you need help determining the value of a single property to multiple assets across an extensive portfolio, CTC is here to help. We specialize in quick, professional, and stress-free appraisals in order to help you determine the true value of your property. Our clients include consumers, businesses, local lenders, and mortgage companies and offer each customer exceptional service and a quality appraisal. When you partner with CTC Appraisal Services for your residential or commercial property appraisal, you are partnering with a team of licensed and experienced appraisers. Each member of our team has an extensive background in professional appraising and is committed to giving you a fair and honest appraisal of your property. Our 25 years of experience providing real estate and valuation services has made us a leader in the Texas property appraisal industry. Also, because of our impressive reputation and our commitment to following the Uniform Standards of Professional Appraisal Practice, our appraisals are trusted. We are proud to have a reputation for being unbiased and objective and bankers, lenders, investment lenders, and hard money lenders, know they can rely on our assessment of a property’s value. At CTC Appraisal Services, we understand that timely delivery is an important part of the valuation process. We work quickly, but carefully in order to provide you an accurate appraisal when you need it. Let us help you have a competitive edge with a trusted and accurate appraisal that is delivered as quickly as possible. Our customer service is unmatched. When you request a property appraisal from CTC, we make sure to monitor your appraisal every step of the way, send you status updates, and ensure you receive a final confirmation. Contact CTC Appraisal Services to discuss your residential or commercial property appraisal needs. We offer convenient online ordering and quick turnarounds. CTC is here to help you find the true value of your property in Texas.